Why settle for the standard notification icons when you can be creative and use your own icons to send parents your notifications in style ! Upload your nursery logo, class logos, or use some of the millions of icons available online when sending notifications about special events or holidays. In the Message Templates page you can now upload any icon and use that in your notifications. 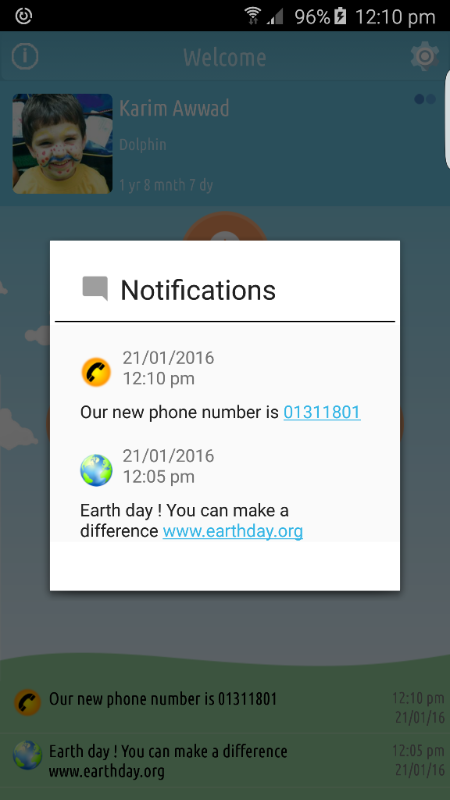 You can also set standard messages for use with each icon so there will be no need to type the message again. 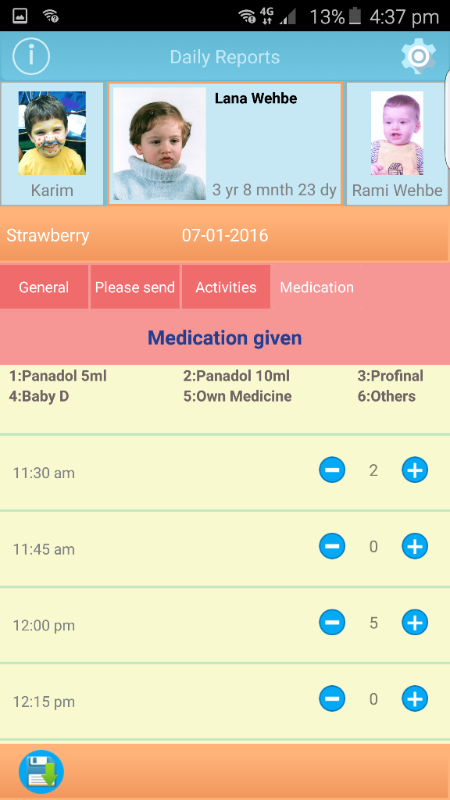 Using the flexible lists available in iCare advanced reports, nurseries can now inform parents of any medication given to their child during their day at the nursery. 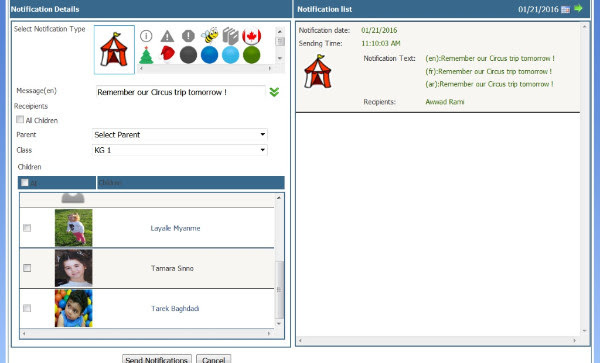 The teacher can choose the time, type, and the preset quantity of a medicine given with a few clicks and write details in the remarks section when needed. 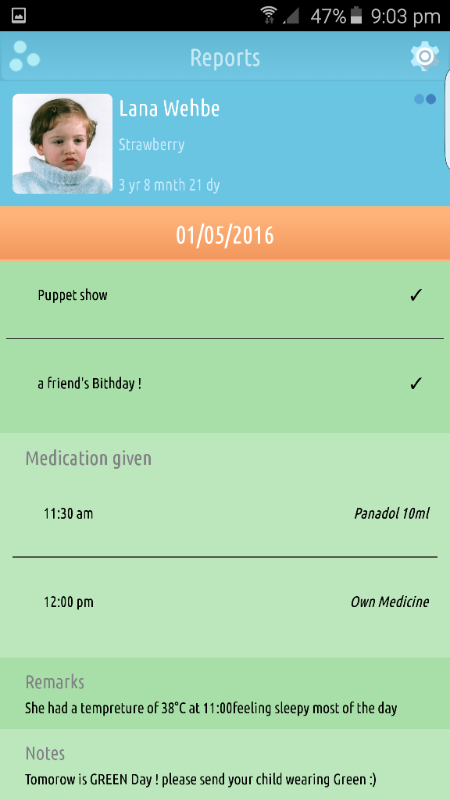 Medication reporting can also be done from the admin site and can be accessed by the nursery nurse or manager. Start using iCare Kids today! Contact Us. iCare Kids is a secure social-networking solution which helps connect parents and daycare providers in real time. This one-of-a-kind, cutting-edge tool can give your daycare center a real competitive advantage. iCare Kids allows teachers to securely share updates and multimedia with their students’ parents. With iCare Kids, parents are able to stay in-tune with their children’s daycare experience, and teachers are able to keep a digital log of all their students’ progress. Are you interested in iCare Kids? Ask your daycare center to check us out and download a demo version of the app today, for iOS or Android! iCare Kids integrates with social media networks to allow parents to share watermarked photos and videos with their friends and family, promoting your daycare center in the process. You can make everybody happy with iCare Kids. Teachers love how easy it is to use and parents love being able to be more involved in their child’s daycare experience. 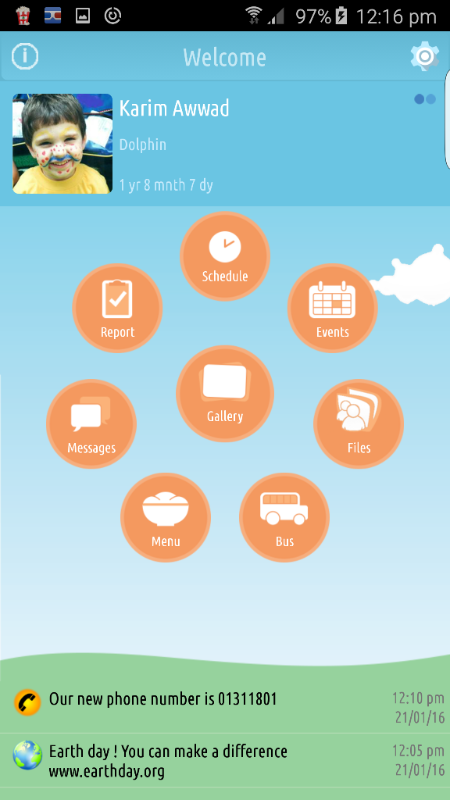 For a free demo, download iCare Kids on your mobile device using the iTunes App Store or Google Play. To learn more about how you can start using iCare Kids at your daycare center, please contact us.